IRVINE, Calif., – February 14, 2018 – The AVA Digital Awards announced the winners for 2018, awarding Variety, the Children’s Charity International, the Platinum Award for this year’s Facebook promoted posts branding and likes campaign with the assistance of Trinet Internet Solutions, Inc. 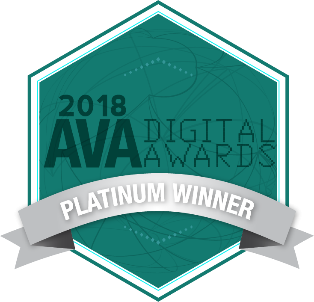 The AVA Digital Awards is administered and judged by the Association of Marketing and Communication Professionals (AMCP). The international organization consists of several thousand production, marketing, communication, advertising, public relations, and free-lance professionals. AMCP administers recognition programs, provides judges and rewards outstanding achievement and service to the profession. As part of its mission, AMCP fosters and supports the efforts of creative professionals who contribute their unique talents to public service and charitable organizations. This year there were 2,500 entries from throughout the United States, Canada, and 17 other countries. Variety called on Trinet’s team to provide ongoing social media campaigns to grow awareness and brand reach for Variety through ongoing promotion (boosts) of selected social media posts as well as targeted digital ads featuring videos and testimonies of changed lives to encourage likes on the Variety International Facebook page. Variety – the Children’s Charity has a network of 42 offices in 13 countries, and helps millions of disadvantaged children around the world to live a better life because of the generosity of Variety’s donors, sponsors and supporters. Unlike most charitable organizations that focus on a single disease or area of need, Variety addresses multiple unmet needs of children who are sick, disadvantaged or live with disabilities and other special needs at the local, national and international level. 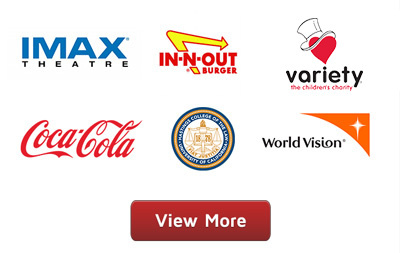 Variety’s aim is to maximize the real, long-term positive social impact for all children. Variety welcomes the support of any person who shares our ideals and objectives. Headquartered in Irvine, CA, Trinet Internet Solutions, Inc. is a full service digital firm specializing in helping clients grow their organization through Social Media Marketing, Digital Strategy, Website Redesign, Mobile Apps, Internet Connected TV Apps, Online Fundraising, Email Marketing, Search Engine Optimization (SEO), Search Engine Marketing (SEM), and more. With 23 years in business, over 1500 award-winning digital projects, and more than 98 industry awards – trust Trinet to take your digital initiatives to the next level. To learn more, please visit www.trinetsolutions.com. Call today and get started 949.442.8900. If you would like to learn more about Trinet Internet Solutions, Inc., please contact Erica Bengel at 949.442.8900 or erica.bengel@trinetsolutions.com.